I have to be honest with you – when I first heard there was yet another TV series about gifted human beings borne of mysterious circumstance rallying to save the world from oblivion (honestly planet Earth you’re in trouble so often, it’s almost like you want it to happen), my eyes rolled in my head so loudly that a mutant with super hearing would’ve heard it from countries away. But one look at the trailer for The Umbrella Academy, at the inventive story, the wit and the repartee between the characters and the way it executes so refreshingly different on its well-worn premise, made me an instant believer. It’s hardly surprising I guess that it is such a fresh take on things since it is based on an Eisner Award-winning comic book series created and written by Gerard Way and illustrated by Gabriel Bá but still, success in one medium doesn’t always translate to another. In this case though, it appears to most definitely have kept the magic alive and while the only way I am going to have time to watch it is to give up sleeping and eating, it seems worth it for a show with this much quirkily dramatic promise. 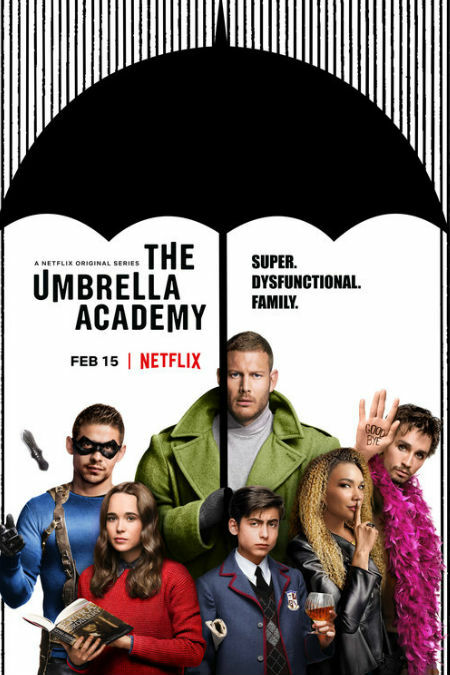 The Umbrella Academy premieres on Netflix on 15 February.